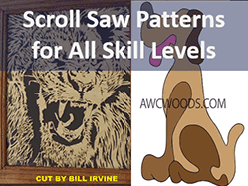 Buying Better Scroll Saw Blades Makes Scrolling More Fun + Saves You Money! 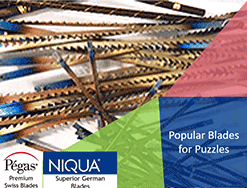 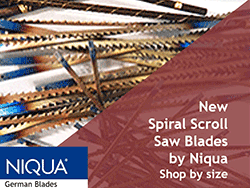 What makes Pegas & Niqua the most sought after scroll saw blades manufacturers for durability, sharpness and ease of use? Pegas Highlights come from perfect heat treatment and precise teeth formation. 1) Perfectly set teeth to ensure accurate cutting and a clean, smooth finish, 2) Precision stamped, tooth by tooth for straight cuts, 3) Perfect heat treatment means they are hard yet not fragile, 4) Stay sharp longer and last longer, 5) Quieter with less vibration or burning. What makes Pegas® Blades Cut Straighter? 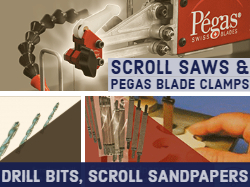 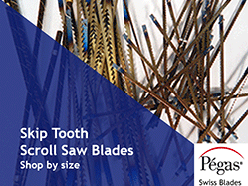 ​Pegas® scroll saw blades teeth are perfectly and equally set (right & left) which enables the blade to cut straight. If this setting is not properly mastered, the blade deviates. 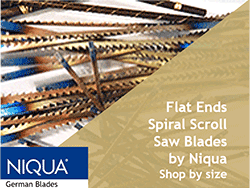 This is what happens with most of our competitors' saw blades. 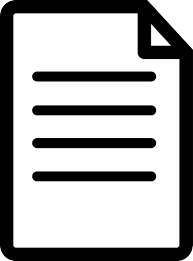 The user has to compensate for the deviation by holding the sawed item at a certain angle. 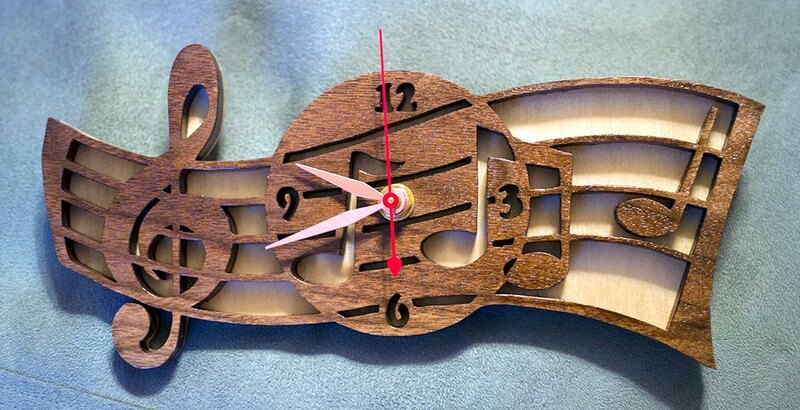 This way of sawing is unnatural and the result cannot be compared to an item sawed with a Pegas® saw blade. 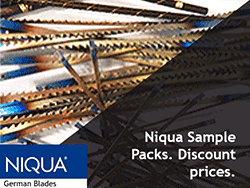 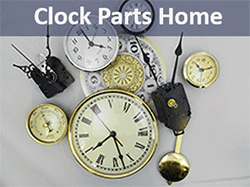 Niqua Highlights come from the experience of make jewelers equipment. 1) Spiral Blades with Flat Ends for easier install, 2) The wildly popular ULTRA Reverse that features a fast cut with every third tooth reversed for quick, clean cutting. 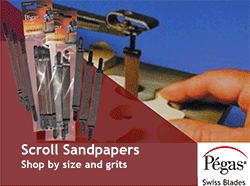 3) Top quality with precision heat treatment for durability and cutting control. 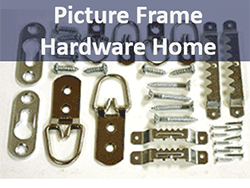 Take a look at the magnification image above - you can actually see the difference in quality of the steel. 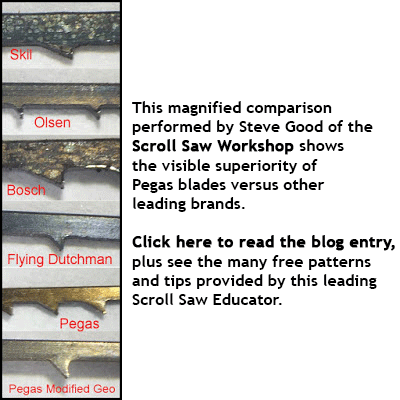 Steve Good compares Olsen Scroll Saw Blades, Bosch Blades, Flying Dutchman Scroll Saw Blades, and Skil with our Pegas brand scroll saw blades. Step 1) Click on a Scroll Saw Blade Type to see the selection of Teeth Per Inch, as well as detailed guidance for each size of blade and recommendations about suitable materials, pilot hole sizes and cutting trace. You can also read on the benefits of each type of blade and typical wood working application. 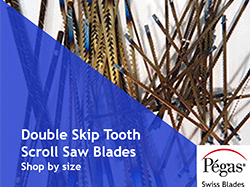 Step 2) Shop by the dozen (12 blades) or by the Gross (144 blades). 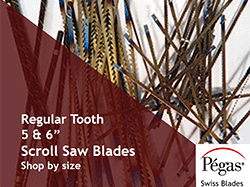 Add items to your cart as you go and proceed to checkout (the shopping cart button at the top of the page). 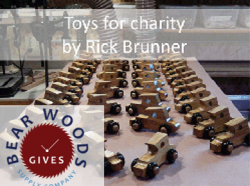 You can change quantities at checkout as well. 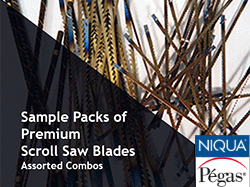 When you combine 3 or more gross packs of any Pegas blade types you will trigger the lower quantity price.